Camtasia is one product within the broader TechSmith range. The university has purchased a Camtasia 9 software site license for staff to utilise to create and produce their own videos. Camtasia allows you to screen record or edit imported videos and has been utilised as part of the Blended Learning Pilot Project, with academics using it to create e-lectures or instructional videos. Professional Services staff are also embracing the tool by creating instructional videos to support staff training. More advanced features include the use of quizzing, with a choice of options to integrate; formats include multiple-choice, free text, fill in the blanks and short answers question types. Camtasia videos are being used to create blended learning throughout the university. With students accessing the videos or e-lectures ahead of class, they have time to become familiar with key concepts and themes. Videos can be embedded within Blackboard or shared on external platforms, such as YouTube. Students can review the video content at their leisure, to assist learning and preparation for assessments. This software allows you to add captions to videos, supporting students with disabilities and English as a second language learners. Some examples of the use of instructional videos includes how to access Blackboard modules and organisations, use of discussion boards or instructional videos of referencing systems. 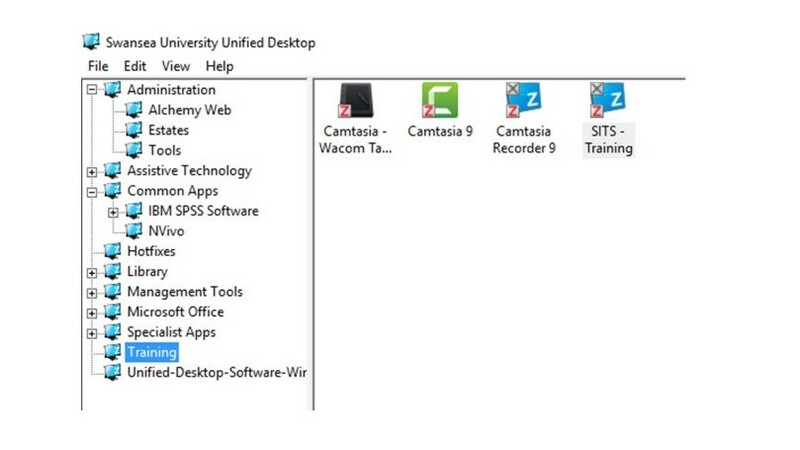 Camtasia 9 is available on managed desktop devices for staff. You can access it under the “Training” menu. When you click on “Camtasia 9” it will install on your machine, this will take a few minutes. Once this is complete, you will be ready to start creating your first Camtasia videos. If you do not work on a managed desktop device, please speak with your College or School IT department for remote installation, or alternatively raise a Service Desk call. In addition to producing videos in your own workspace, we also offer a dedicated quiet workspace in the Camtasia Recording Booth. The soundproof booth is fully equipped with all you need to create and publish your videos. This is situated in Room 19 of the Keir Hardie building on the Singleton Campus. This space is bookable by emailing AVSupport@swansea.ac.uk. 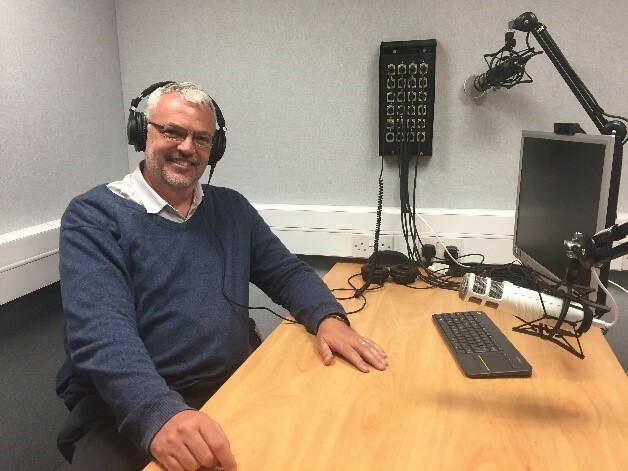 The Blended Learning Pilot was an outcome of the work initiated by Paul Holland and Rhian Kerton from the College of Engineering preparing video e-lectures. The Blackboard Blended Learning training module provides examples of how they created and used these videos to complement their teaching on their modules. Through the Blended Learning Pilot a number of academics have been utilising Camtasia to produce their own videos. This is the story of Neal Harman from the College of Science, describing his experience of using video within the module.